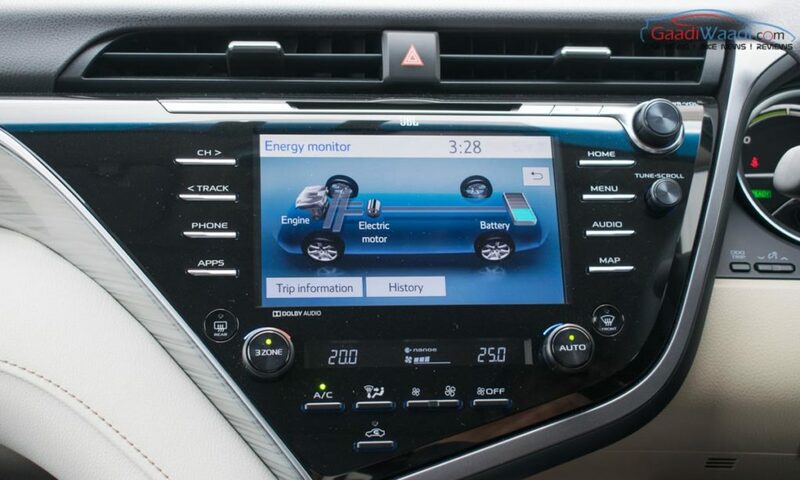 Do you know that the eighth generation Toyota Camry hybrid is based on a new platform and has a new hybrid system? Know more below! 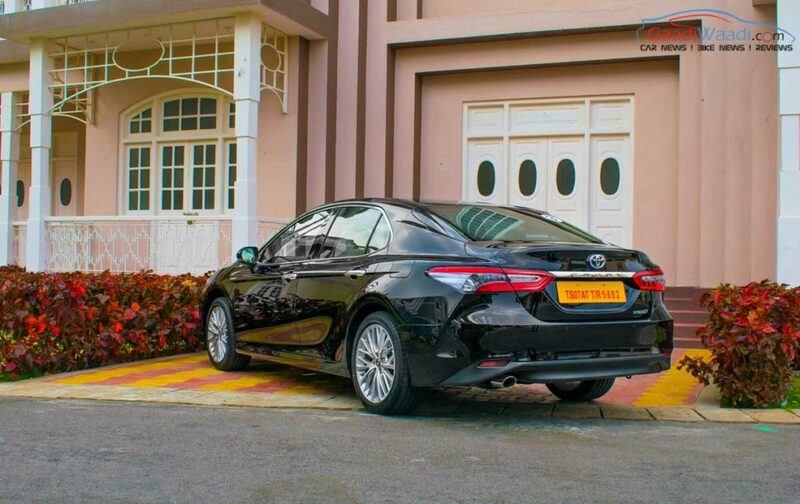 The new generation Toyota Camry is based on the TNGA platform, which has enabled larger proportions and stiffened body shell. 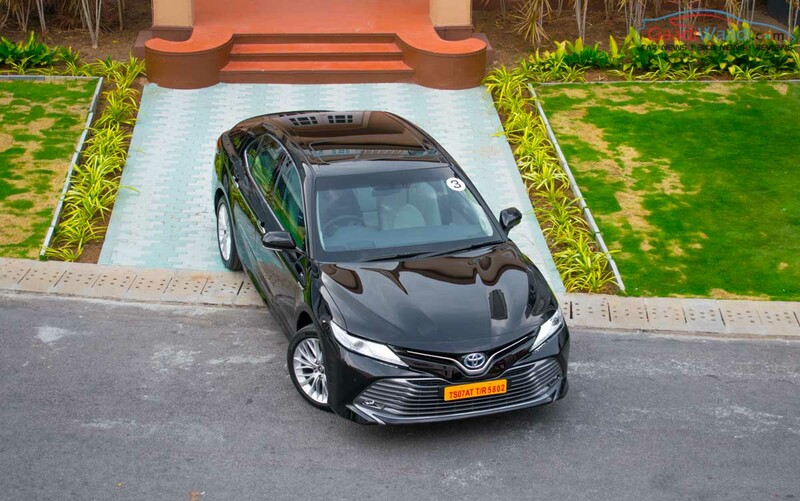 The architecture has resulted in lower centre of gravity as the bonnet and seat heights have been reduced enabling better handling characteristics. 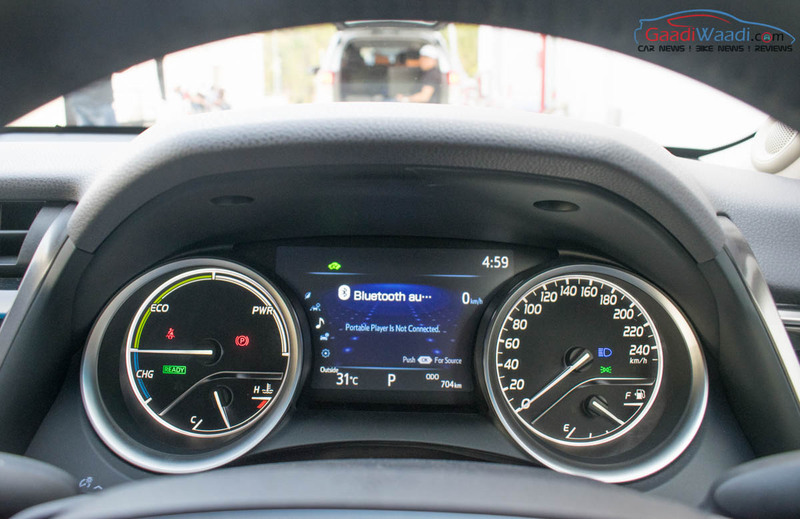 Moreover, the new MacPherson front struts and double wishbone rear suspension, along with new electronic power steering have aided in improved comfort and responsiveness. 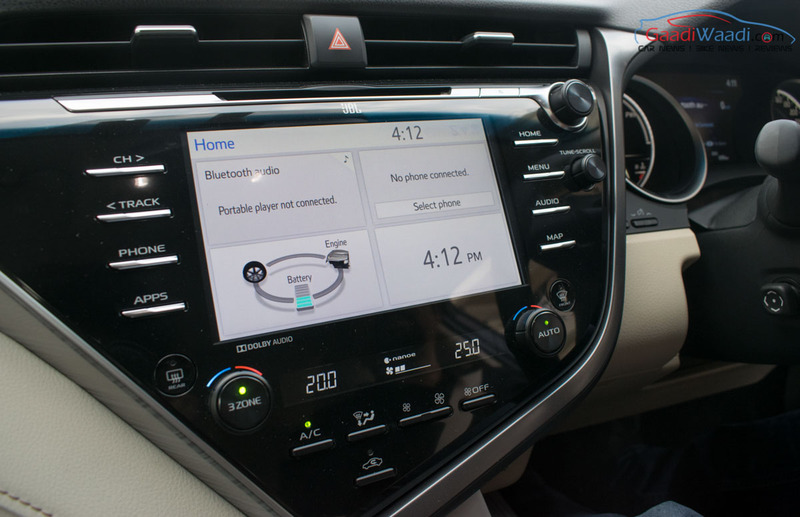 The new Camry comes loaded with equipment like 9-speaker JBL audio system with Clari-Fi technology, tilt and slide moonroof can tilt and slide, ten-way power adjustable driver and front passenger seat with lumbar support, electronic parking brake for the first time, sequential paddle shifters, park assist, nine airbags, ABS with EBD, Vehicle Stability Control, Traction Control, TPMS and ISOFIX child mounts, blue illuminated 10-inch HUD, wireless Qi charging, rain sensing wiper, etc. Toyota has employed the fourth generation hybrid system in the new Camry and the Nickel metal hydride battery pack has been repositioned to underneath the rear seat. 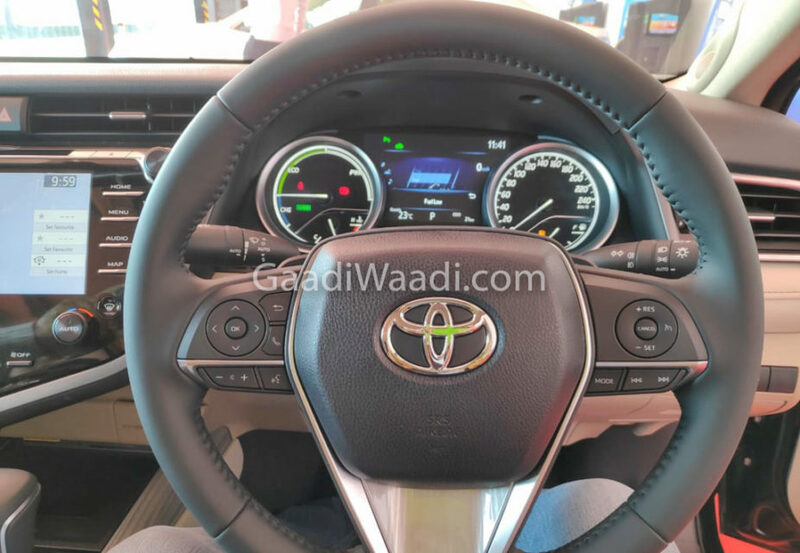 Due to various mechanical improvements and efficient 88 kW electric motor, the 2.5-litre Dynamic Force petrol engine and the hybrid system produce 218 PS combined while the fuel efficiency has been improved by 20 per cent to 23.27 kmpl. 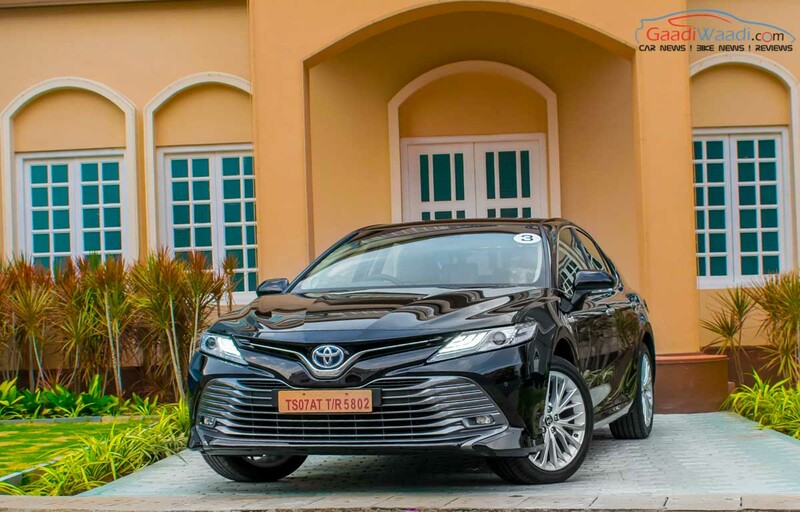 The exterior is a definitive eye-catcher in the 2019 Camry hybrid and it brings a new breed of enthusiasm into the premium sedan. 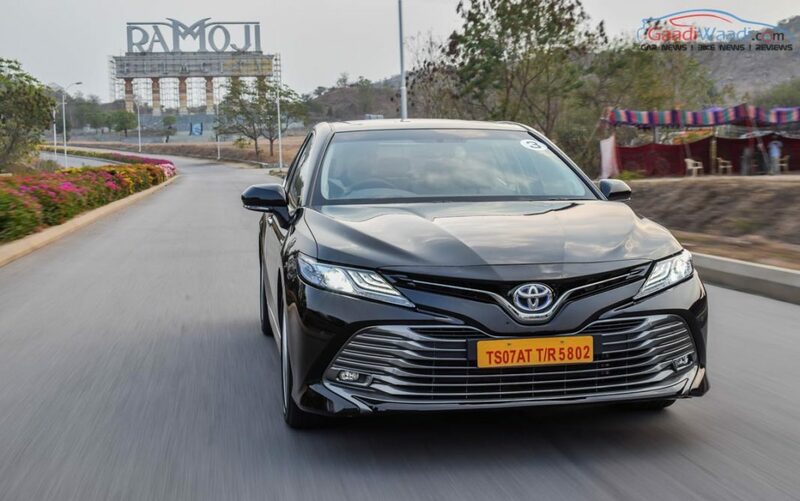 The front fascia has been upgraded with sleeker LED headlamps, prominent V-shaped chrome element, horizontal louvres dominating the bumper and new LED fog lamps. 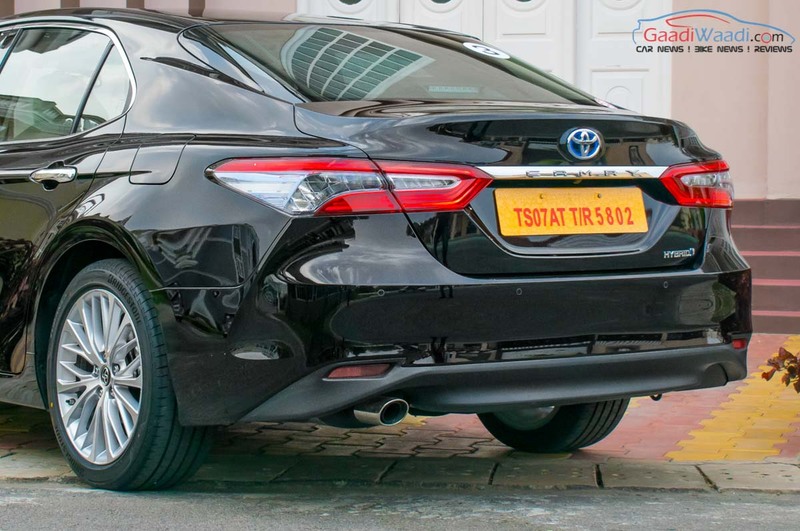 The rear has revised styling with LED combination tail lamps and redesigned boot. 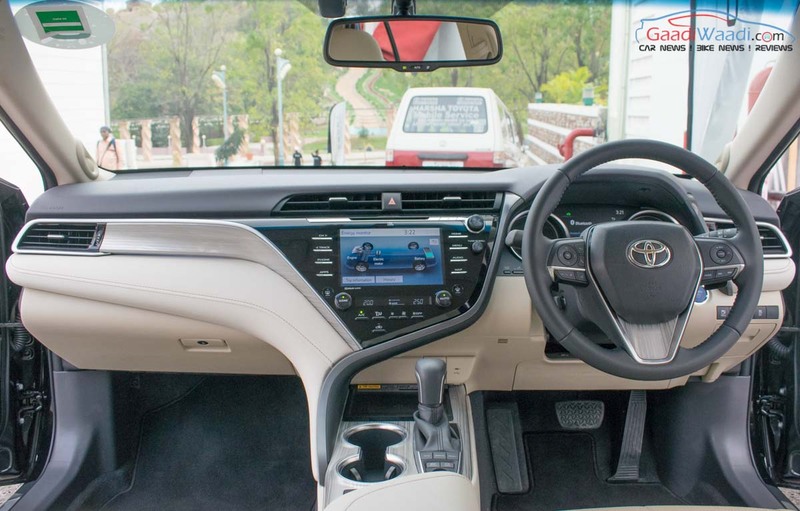 As much as the exterior, the cabin has been completely reworked with beige leather upholstery, metallic accents and stone grain dashboard finish. 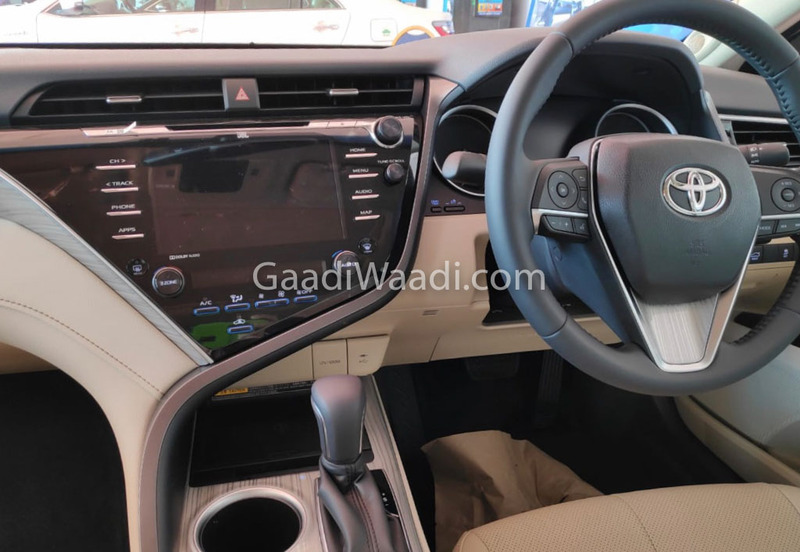 It gets a new instrument console with seven-inch TFT multi-info display, bigger eight-inch touchscreen infotainment system, new dials and buttons, rear centre armrest with a capacitive touchscreen, premium soft-touch finishes and much more.